Sterling silver pendant with a big Australian boulder opal bottom. 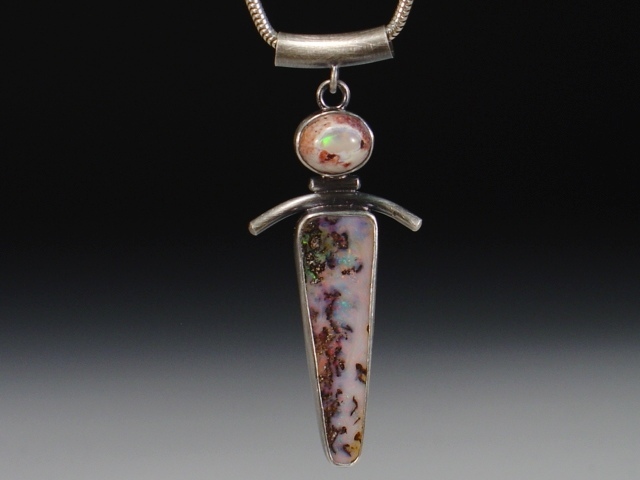 The boulder opal has a beautiful swimming pattern of red fire with some blues and greens. The top stone is a Mexican Canterra opal with a green and red flashing "eye". The pendant is set on a 20" oxidized sterling snake chain.